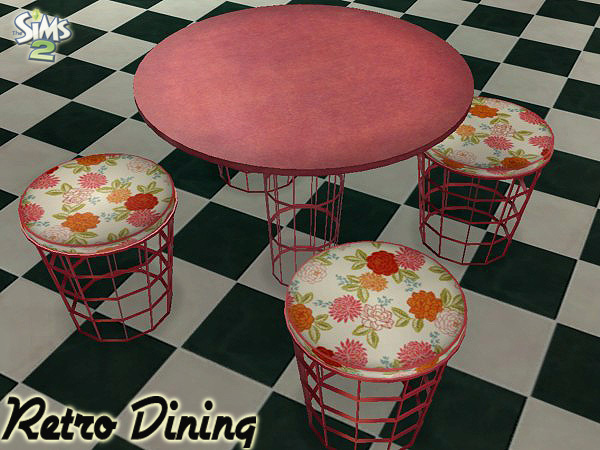 Inspired by SailinSims 70's Retro theme..a new dining set consisting of a 1-tile table and chair. Even though I was around during the 70's, I don't really remember much about the furniture. Ask me about the clothing, and we can talk! (Plaid hip-hugger bell bottoms anyone?!?) Doing a tiny bit of research gave me the idea that a lot of color was used (ok, Mom..why did we have a brown plaid couch then?).. and my set was modeled after a real set.. so I decided to add some brighter colors. New for me, no? Yes, it is. *The tabletop is slightly oversized- it will clip into the walls if you put it in a corner. For that reason, there are no wall shadows for the table. *Sims will clip into the base of the table a bit. Hand will pass through tabletop when they first start to eat, too. See attached pic. *The animations for pulling out the chair are a bit off since there is no back. It doesn't look too bad though. MLC-RetroTable1Tile.rar | Description: Table mesh and recolors. 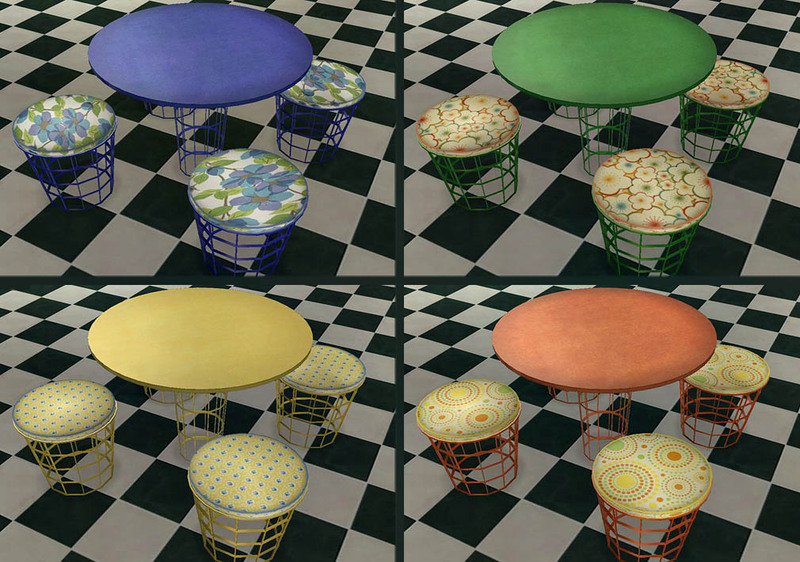 MLC-RetroDiningChair.rar | Description: Chair mesh and recolors. Livingroom "Bibliothek" - Update: Now with desk, chair and corner bookcases!